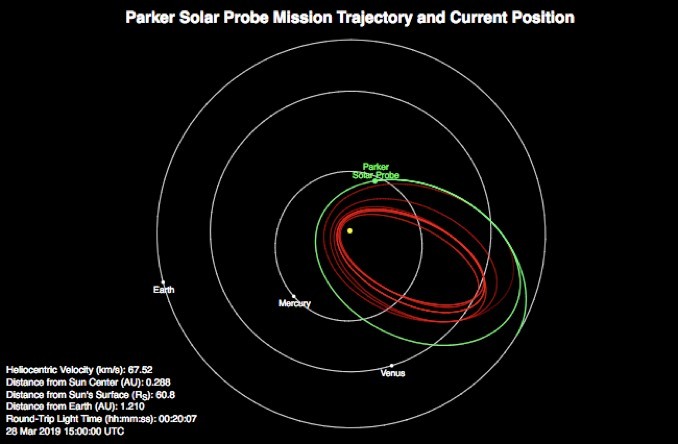 NASA’s Parker Solar Probe is making its second close flyby of the Sun this week on a trajectory that will carry it within about 15 million miles of the star’s visible surface on 4 April. Peak velocity at perihelion was expected to be about 343,00 kph (213,000 mph), fast enough to fly between New York and London 39 times in one hour. During the encounter, Parker’s four sets of science instruments, operating in the shade provided by the spacecraft’s sun shield, will be recording data about the high-temperature corona. The goal of the mission is to help researchers understand what causes the temperature between the Sun’s visible surface and its outer atmosphere to jump to more than a million degrees. 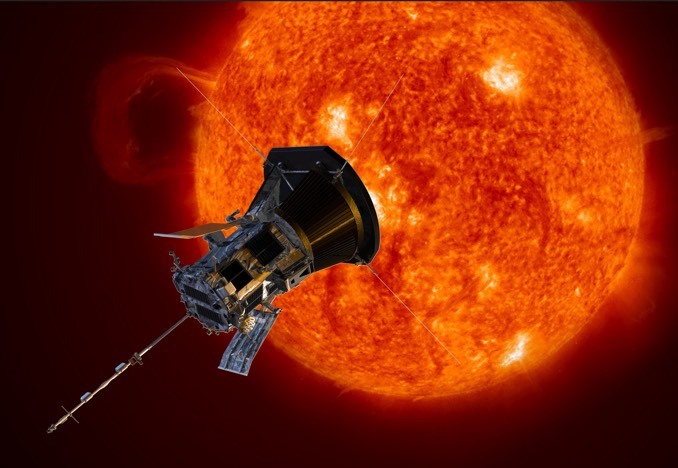 Keeping its thermal protection system facing the sun, Parker will be out of contact during the encounter, beginning 30 March and ending 10 April. Recorded data will be beamed back to Earth over several weeks later this spring. A third close flyby at a similar distance is planned for 1 September followed by the second of seven Venus gravity-assist flybys on 26 December. That will put the spacecraft on course for a fourth, even closer flyby on 29 January 2020 at an even higher velocity. While blindingly fast by human standards, even the Parker Solar Probe, moving at a constant velocity, would need more than 13,000 years to cross the gulf between the Sun and Proxima Centauri, the nearest star beyond Earth’s solar system. 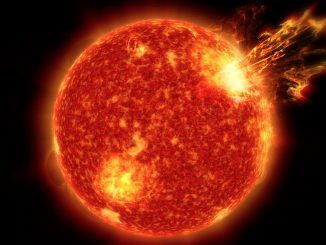 Some 4 billion years ago, the Sun shone with only about three-quarters the brightness we see today, but its surface roiled with giant eruptions spewing enormous amounts of radiation into space. 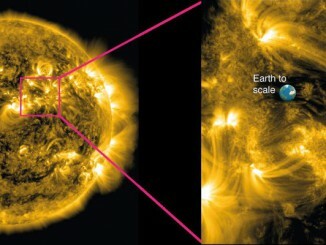 These powerful solar explosions may have provided the crucial energy needed to create greenhouse gas in Earth’s atmosphere, warming the planet and incubating life. 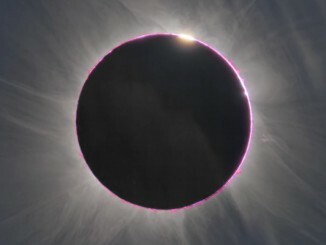 As the Moon slowly covers the face of the Sun on the morning of 9 March, a team of NASA scientists in Indonesia will be anxiously awaiting the start of totality. They plan to take 59 exposures of the Sun in just over three minutes, capturing data on the corona — the innermost parts of the Sun’s volatile, superhot atmosphere. An international team of researchers, led by Queen’s University Belfast, has devised a high-precision method of examining magnetic fields in the Sun’s atmosphere, representing a significant leap forward in the investigation of solar flares and potentially catastrophic ‘space weather’.